Kim’s note: This is the 16th installment in a series introducing different voices from around Omaha. Each week Whenever I can, I’ll introduce a different Omaha blogger, what his or her blog is all about, and since I love getting recommendations as much as I love giving them, I’ve asked each person to share some Omaha tips. This week’s blogger, Jennifer, is going to have you wanting to remodel your entire house! Hope you enjoy getting to know all the bloggers from Omaha! 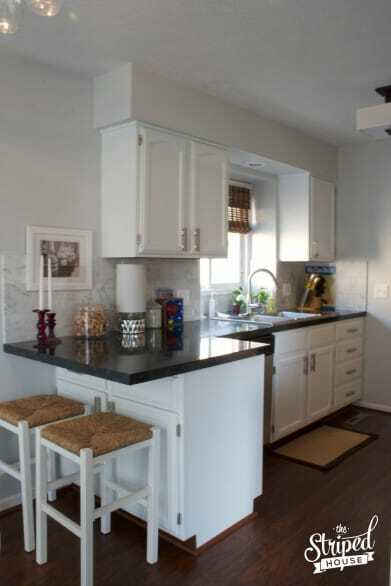 Jennifer’s Kitchen Makeover post is one of her blog’s most popular posts. My two most popular posts are probably my Kitchen Makeover and my Built-Ins & Fireplace Makeover. People love makeovers and seeing the before and after photos. The other most popular post on The Striped House is her Built-Ins and Fireplace Makeover post. They inspire us to take action and make changes in our lives. My “before” photos were pretty bad. I still can’t believe it’s the same house! Pinterest is my biggest traffic source, but I probably spend the most time on Instagram. It’s an instant peek at what my blogger friends are up to, and its more interactive. Bloggers love hashtag challenges! All of my photos are saved on my Mac Air Port/Time Capsule, so I’m always working from home. My favorite places are the Old Market, Dundee and Benson. I’m a fan of low key bars with patios (where I can hang out and laugh with my friends), good beer and great food. My favorite free thing to do in Omaha is watching fireworks. This city loves its fireworks, and I couldn’t be happier about that! I joke that Omaha is a breeding ground for pyrotechnics. 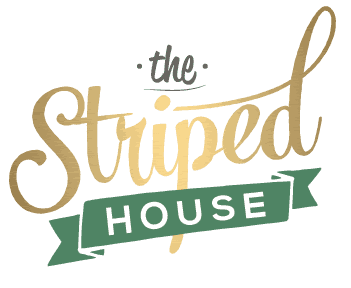 The Striped House is all about creating a home you love coming home to, but on a budget that won’t break the bank. I am remodeling, updating and decorating my house one gallon of paint at a time. I’m always game for a DIY project and you can find me at the hardware store on any given day. I believe that if you don’t love a room, it’s not finished. And if you can’t afford something, DIY your own! Kim’s note: This is the 15th installment in a series introducing different voices from around Omaha. Each week Whenever I can, I’ll introduce a different Omaha blogger, what his or her blog is all about, and since I love getting recommendations as much as I love giving them, I’ve asked each person to share some Omaha tips. 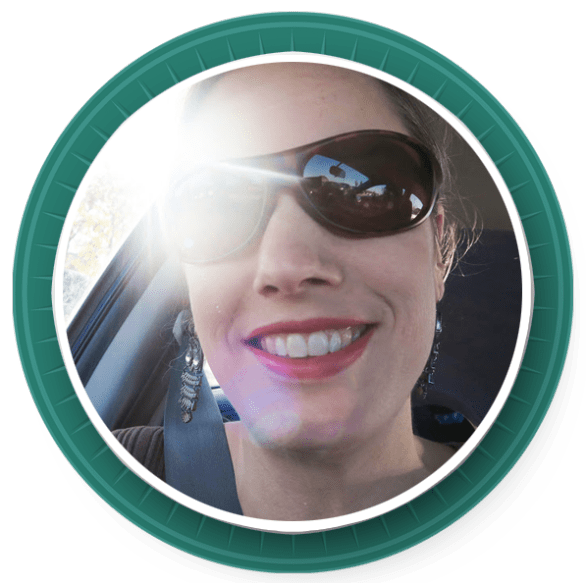 Today’s blogger, Alissa, is a prolific writer of a variety of topics – you never know what she’ll write about next! I’ve reread some of her posts to help plan trips! Hope you enjoy getting to know all the bloggers from Omaha! 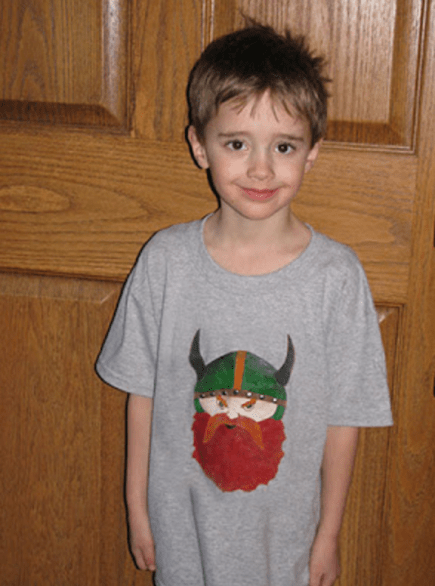 Alissa’s tutorial on making a viking shirt is a popular post. I’m on Facebook the most. I am not only on there for posting about my blog, but I also handle my work’s Facebook page. I like to see what other people are up to. It’s an easy way to post both text and pictures. Hi! My name is Alissa Apel. Omaha has always been home. I started blogging as a modern day baby book; it’s turned into much more than that. I blog almost every day of the week, and often review products. I have 2 energetic boys Mica (age 10), Isaak (age 7). My husband isa sculptor and high end jewelry designer. My full time job is a college instructor at the Creative Center. I love to design, paint, and make crafty things with my kids. Kim’s note: This is the 14th installment in a series introducing different voices from around Omaha. Each week Whenever I can, I’ll introduce a different Omaha blogger, what his or her blog is all about, and since I love getting recommendations as much as I love giving them, I’ve asked each person to share some Omaha tips. If you’re a frequent reader of Omaha Magazine or The Reader, you’ve probably read some of this next blogger’s work. Head to his blog to get the behind-the-scenes stories he gathers while working as a freelance writer. Hope you enjoy getting to know all the bloggers from Omaha! People’s passions and magnificent obsessions. Number one is a story I did about interracial couples. It successfully laid out the joys and challenges that come with interracial relationships. Number two is a story I did about long overdue change needed in northeast Omaha. It gave voice to some people who don’t normally get heard in mainstream media. 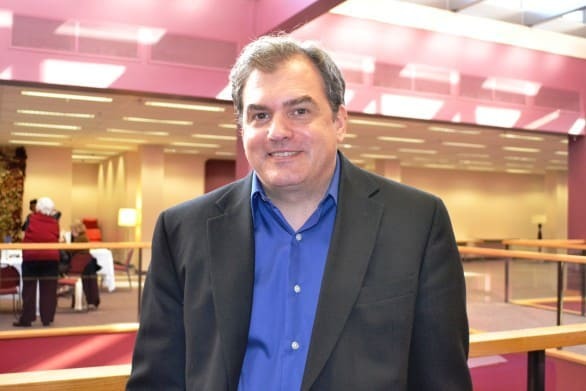 More recently, there were the stories I did on Time Out Chicken, Terence Crawford and the Blue Barn Theatre, all of which resonated with folks because they deal with subjects close to people’s hearts. Facebook because it gives me the most direct way to reach new and old audiences and LinkedIn because of its professional networking opportunities. My blog feeds into both platforms as well as into other social media platforms I’m on, such as Tumblr and About.Me. I would take a writing retreat to Lauritzen Gardens or Memorial Park or maybe to a coffeehouse in Dundee or Midtown. Joslyn Art Museum. Durham Museum. Old Market. Not far behind would be Holland Performing Arts Center, Orpheum Theatre, Omaha Community Playhouse, St. Cecilia Cathedral and Henry Doorly Zoo & Aquarium. Tour Joslyn Art Museum or visit city parks or walk the city’s historic neighborhoods. Shakespeare on the Green and Jazz on the Green are great, too. I am an Omaha author-journalist-blogger who writes about people, their passions and their magnificent obsessions. My original posts cover a wide gamut of personalities, arts, creative, culture profiles and lifestyle subjects. Kim’s note: This is the 13th installment in a series introducing different voices from around Omaha. Each week Whenever I can, I’ll introduce a different Omaha blogger, what his or her blog is all about, and since I love getting recommendations as much as I love giving them, I’ve asked each person to share some Omaha tips. If you shop in Omaha, and hate paying full price for anything, Nicole is a blogger to follow. Black Friday has nothing on the deals you can get by reading her blog. Hope you enjoy getting to know all the bloggers from Omaha! The weekly Omaha grocery list with coupon match ups is consistently the most popular post on my site. Every week I sit down and list all the best deals, match up the coupons and even highlight the very best deals. It’s an awesome resource to save lots of money on your grocery bill. The monthly meal plans are also very popular! 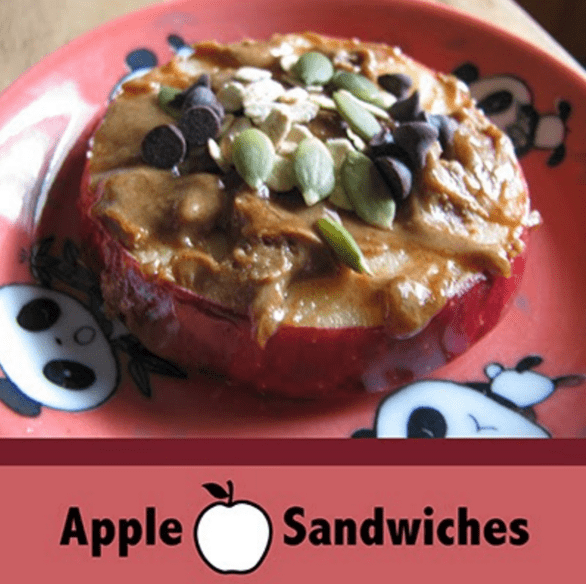 Who can resist having the whole month of meals already planned with easy and delicious recipes? I am on Facebook most of the time. I run a very active, local Facebook group, “Mom Saves Money Omaha Coupon Swaps & Deals,” and love being able to personally interact with my readers and help them save even more money! I’m so boring. I’m a home body and like the quiet so I would lock myself in a room and write! However, I’d love to have some yummy Dunkin’ Donuts iced coffee to keep me company. I take every visitor to The Bohemian Cafe for some delicious Svickova and potato dumplings. Next on the list is the Henry Doorly zoo to walk off all the yummy food and then a stop at Joslyn Art Museum. My favorite free thing in the Omaha area is the Bellevue Early Education Center. I know it’s not technically Omaha, but it’s such an awesome resource. It’s open to any Bellevue resident or military family and has tons of toys and activities perfect for kids ages 8 and under. It’s also staffed by preschool specialists who do story times and sing-a-longs with the kids. 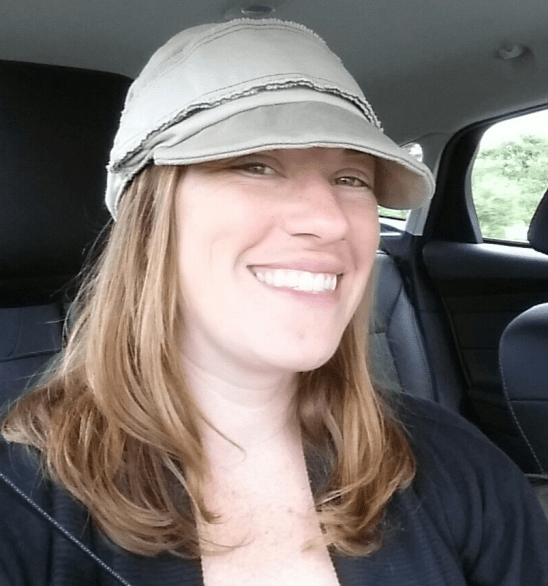 I had three kids in four years (what was I thinking?) and have always stayed home with them. With the Nebraska cold weather, we visited the Early Education Center a lot over the years! 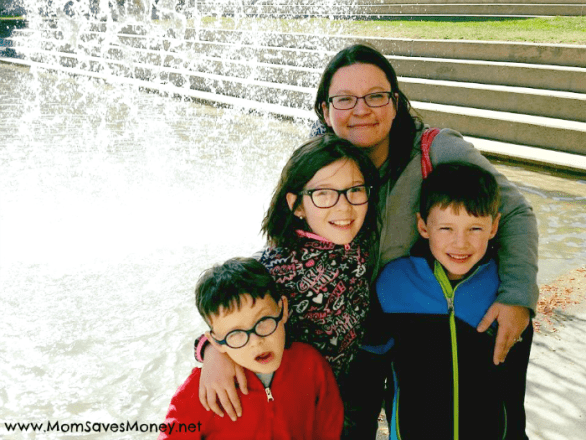 Nicole is the mom behind the popular Omaha blog on saving money, Mom Saves Money. 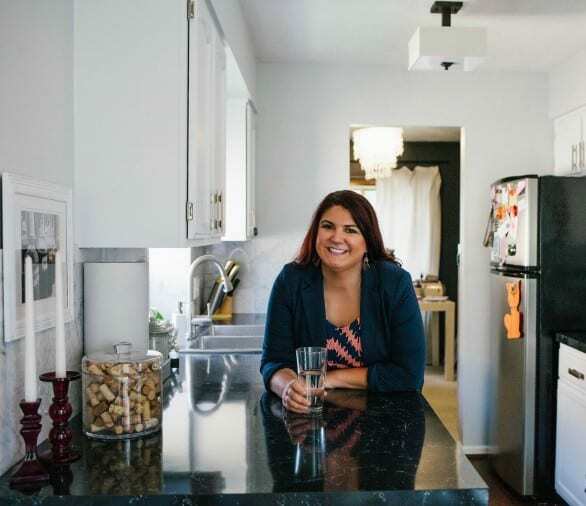 I am a mom to three and returned to my home state of Nebraska after spending seven years in the military. I am passionate about helping others save money and live better. 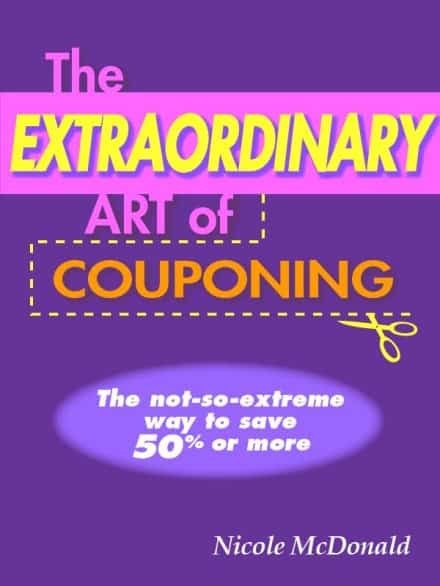 I teach several community college classes in Omaha and Council Bluffs and published “The Extraordinary Art of Couponing” in 2013. Kim’s note: This is the 12th installment in a series introducing different voices from around Omaha. 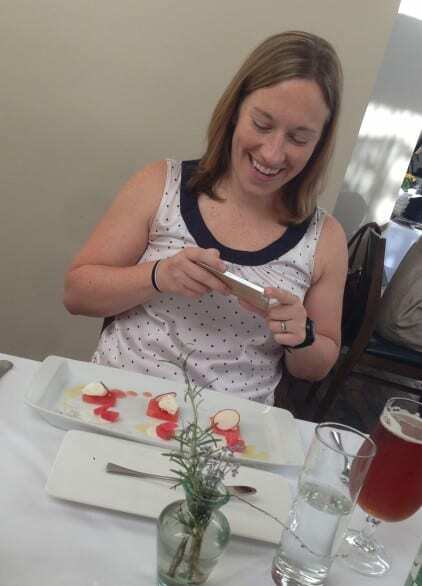 Each week Whenever I can, I’ll introduce a different Omaha blogger, what his or her blog is all about, and since I love getting recommendations as much as I love giving them, I’ve asked each person to share some Omaha tips. I’m keeping the momentum up from last week, featuring another ultra fashionable blogger – Leah at The Bauble Blog. I think of her as the woman with envy-inducing accessories. Hope you enjoy getting to know Omaha bloggers! What are the two most popular posts on your blog? What makes them so good? Two of my most popular posts feature local Omaha shops that sell great vintage clothes and unique fashion and accessories. I think they are my most popular posts because most of the people who read my blog are looking for new style inspiration and fashion ideas and it’s always fun to read about what’s new and who is up and coming in Omaha. What social media channel are you on the most and why? Right now I am really focusing on Twitter and Instagram. I love Instagram because you can really get your point across with a great image and then easily send that image to many other social channels. With fashion and accessories, it’s all about having a great picture that really catches the eye. Plus I love surfing Instagram for photo inspiration and great fashion. Some of my current favorite clothing finds were purchased right off Instagram. It’s fun…and dangerous. You get one hour to spend on writing, where in Omaha do you go? If I had an hour to myself, which is rare, I would head to anywhere with free Wi-Fi and Diet Coke on tap. If they have baked goods then that’s a home run. You’ll find me at Brueggars Bagels mostly, but Stories is also another great place to hang out and put down your thoughts. If friends visit from out of town, what three places would you take them to? That is really hard because there are so many great things happening in Omaha. 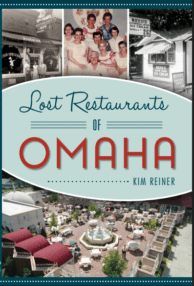 I would have to say downtown Old Market, Benson Brewery or 1912 in Benson, maybe catch a show at one of Omaha’s great live music venues and of course the Henry Doorly Zoo, an Omaha must see! That’s more than three, but I couldn’t help myself. 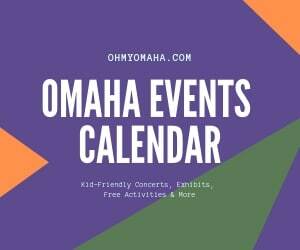 What’s your favorite free thing to do in Omaha? The Summer Arts Festival is something I look forward to every summer. I just love walking around downtown, listening to the great music and checking out all the amazing art. It’s always a good time. 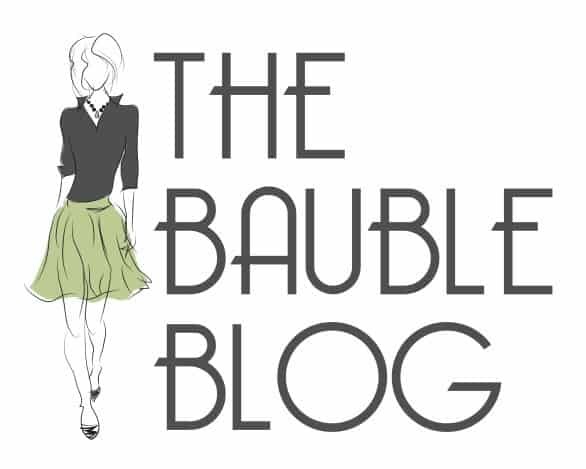 Created in spring 2014, The Bauble Blog began as a way for me to share my love for vintage jewelry and has since morphed into an all around fashion blog reporting on current trends and style inspiration along with vintage finds and local events. One main objective of The Bauble Blog is to promote local proprietors and fashion talent who make fashion their business in Omaha. I want everyone to be aware of the fashionable possibilities right in our fantastic city.